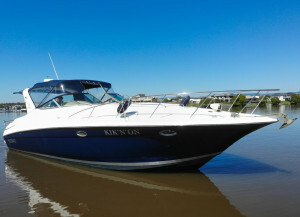 The 'Bang for Buck' with this model of Riviera is outstanding. 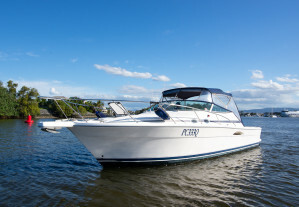 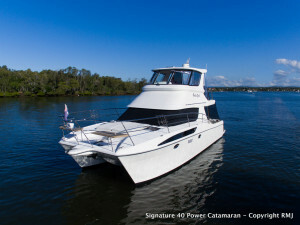 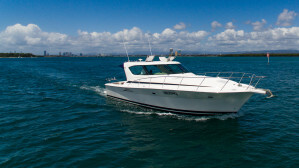 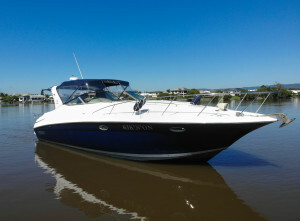 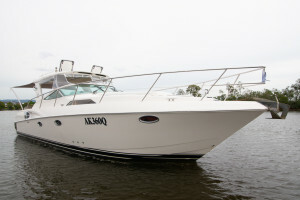 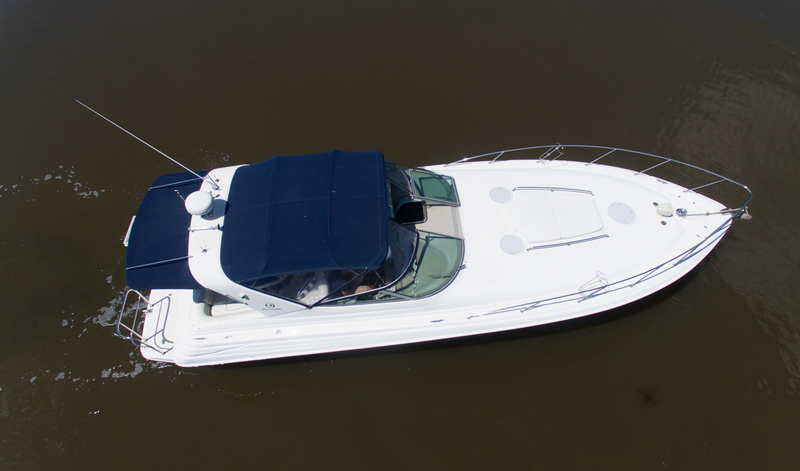 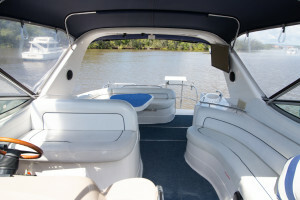 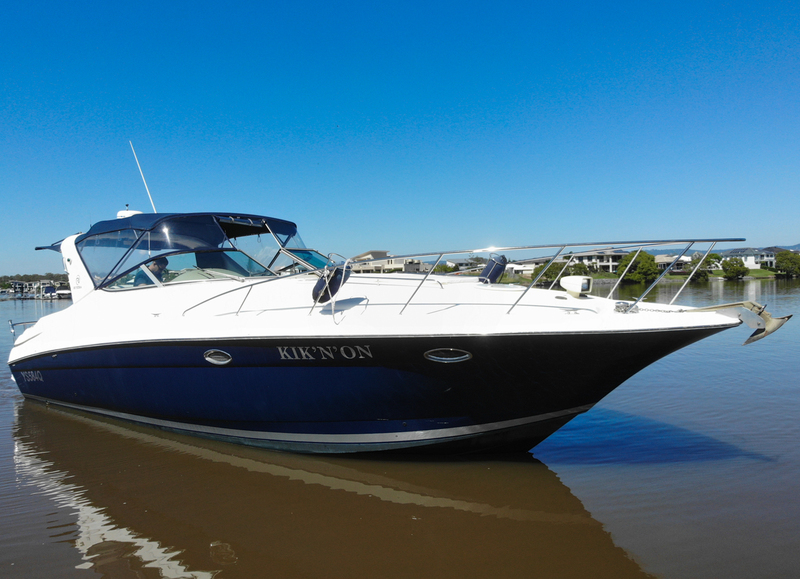 A 40 Foot Riviera, twin cabins, saloon dinnette, twin Mercruiser engines, and nearly 4m of beam for $125,000! 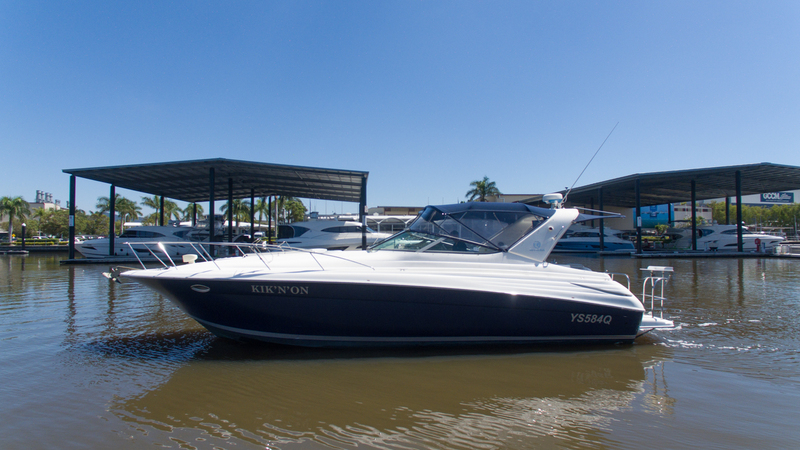 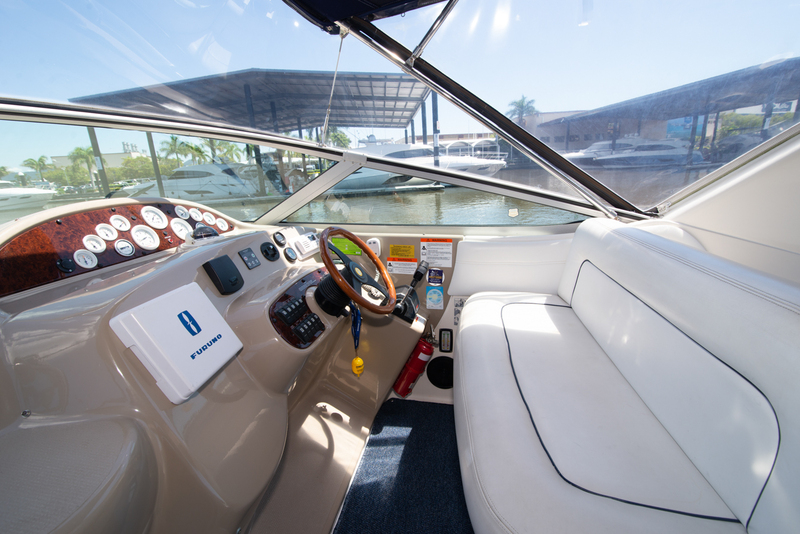 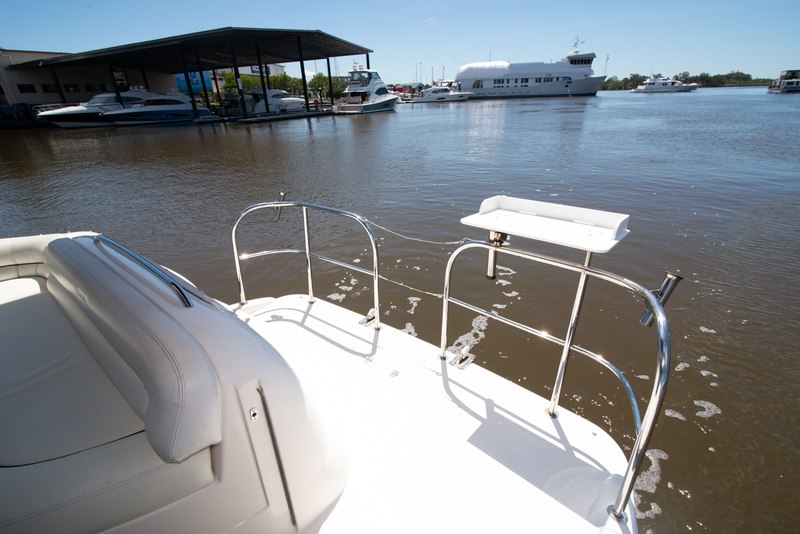 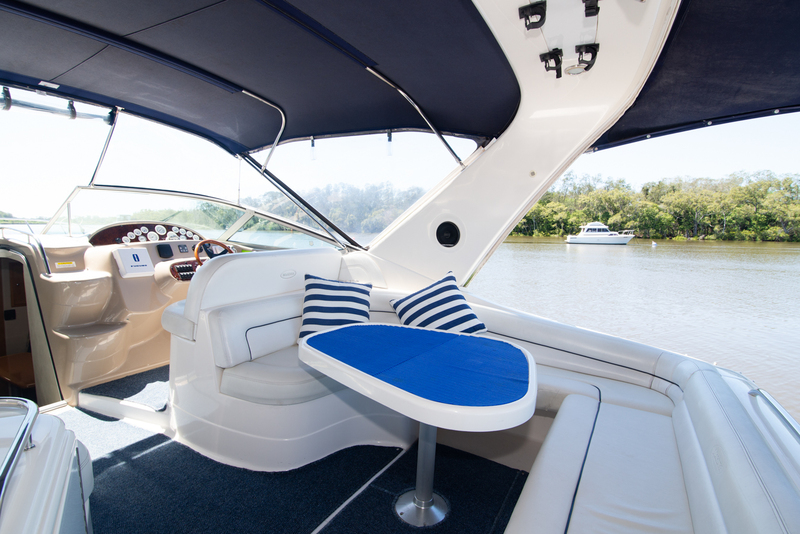 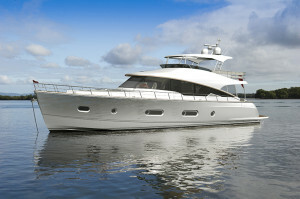 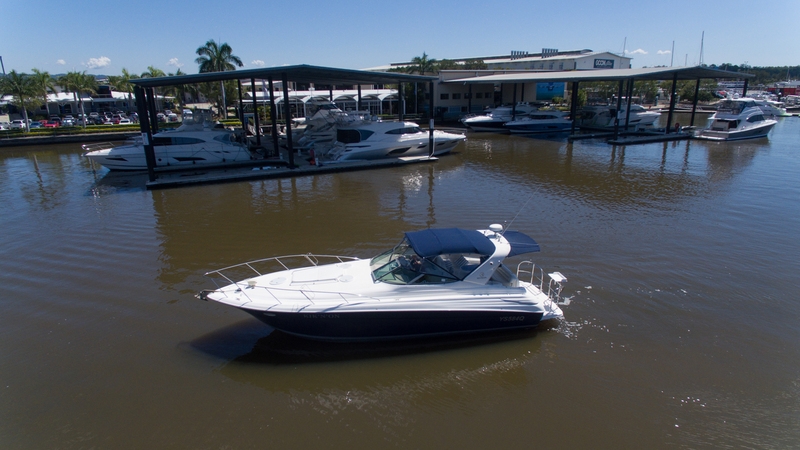 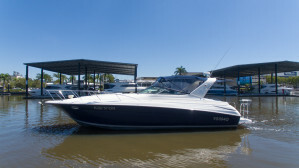 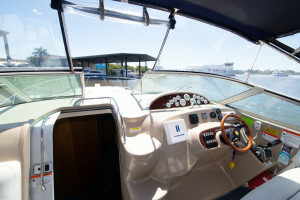 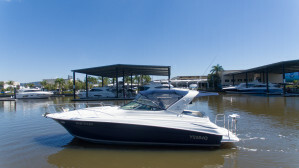 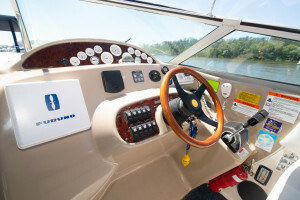 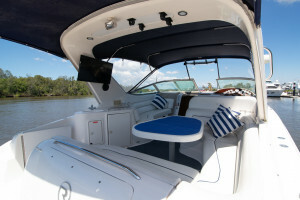 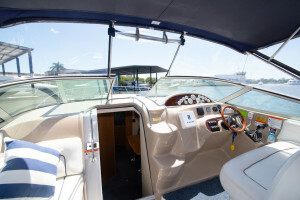 Kik'n'On is now located on the undercover sales marina at the Riviera facility. 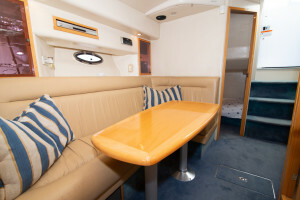 This is the ultimate entertainer, the cockpit lounge layout has been well thought-out to accomodate your extra guests. 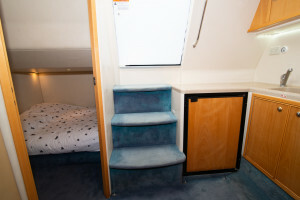 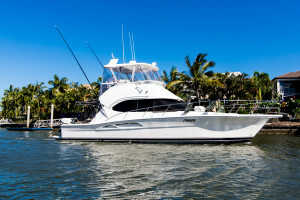 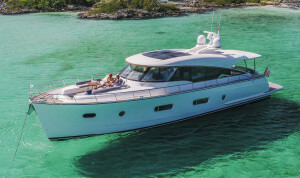 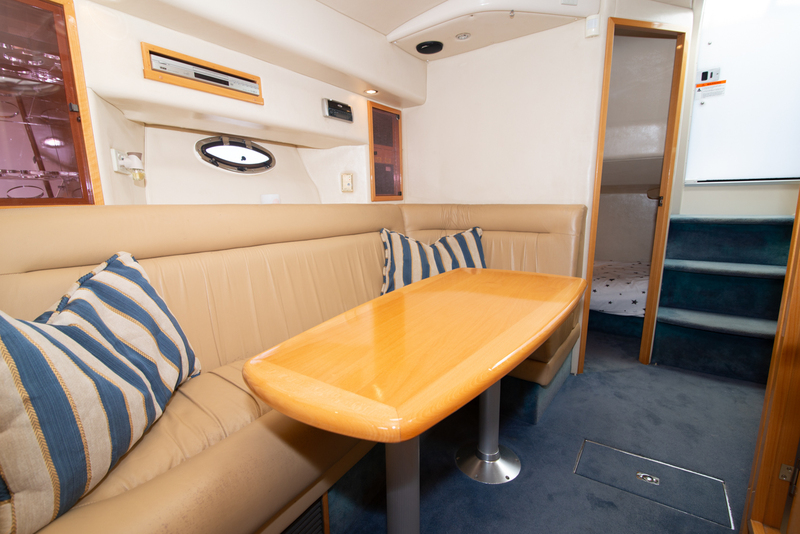 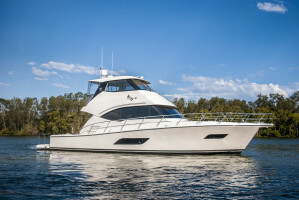 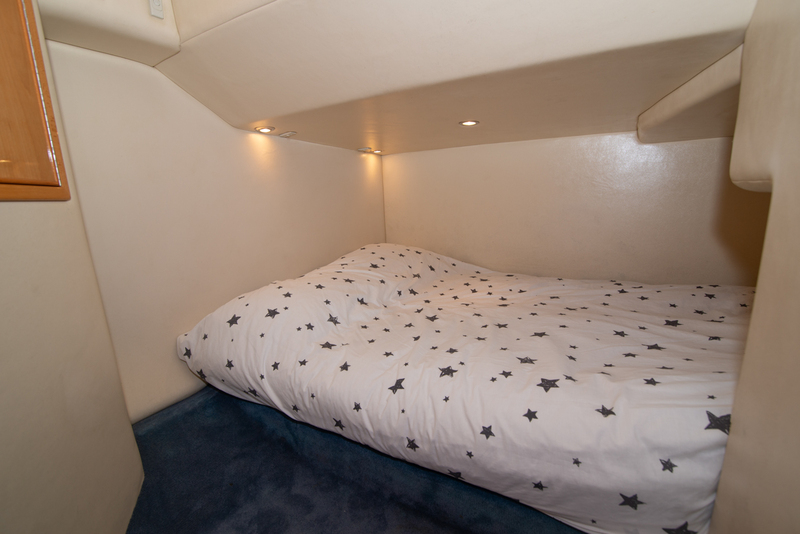 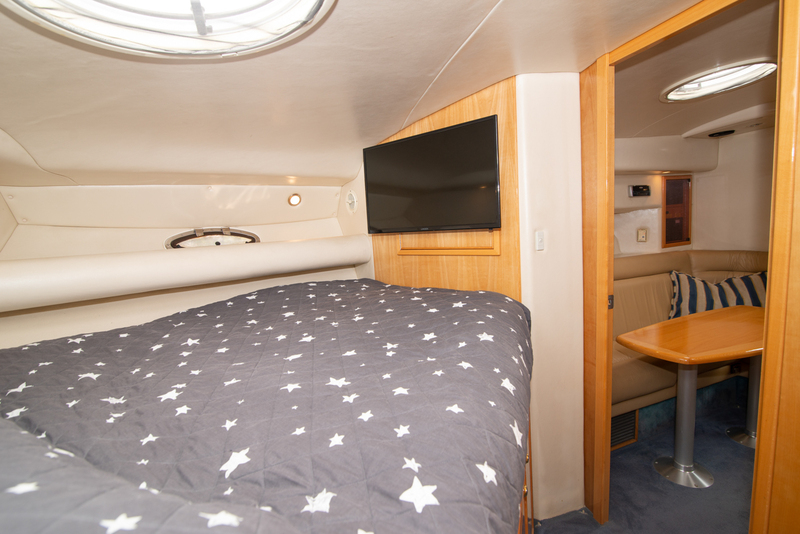 Stepping down in to the cabin, you have a generous size galley to the port, guest cabin to the starboard, saloon dinnette which converts to bunk beds, master cabin forward, and a bathroom to the port. The bathroom has a glass screen separating the shower and the toilet, which is a really nice feature for this size of boat. 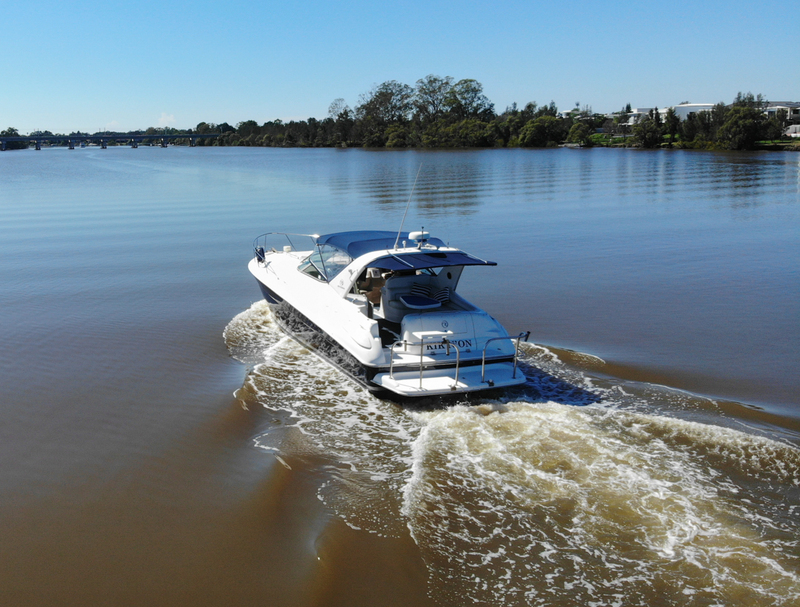 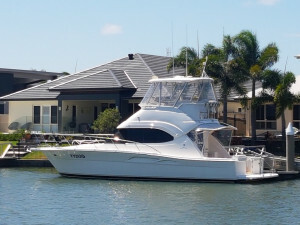 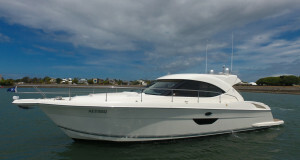 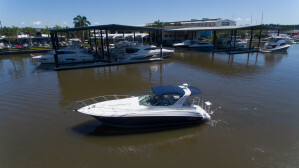 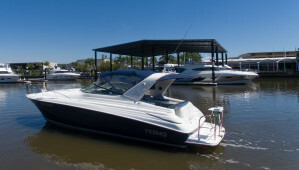 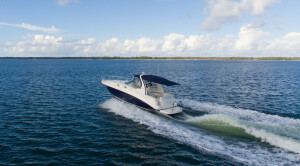 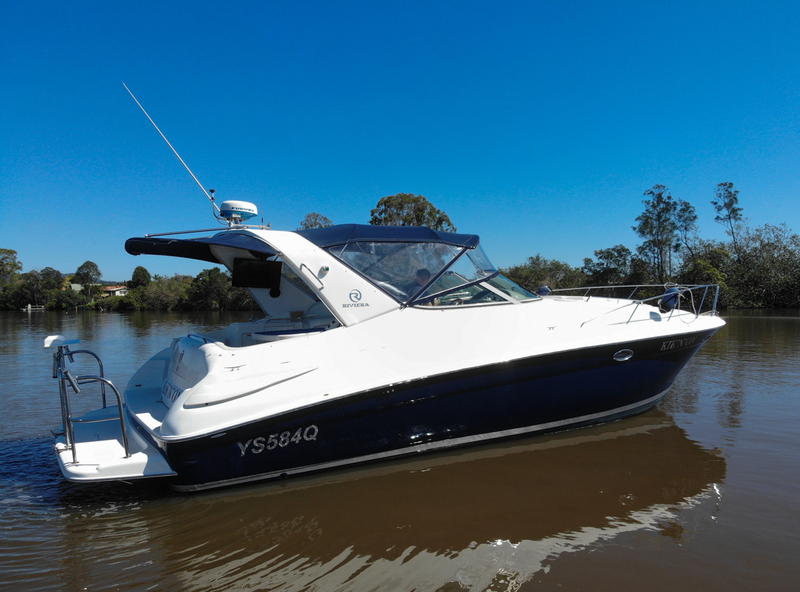 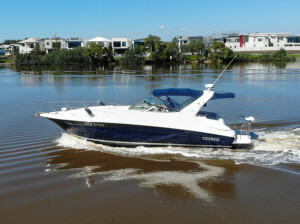 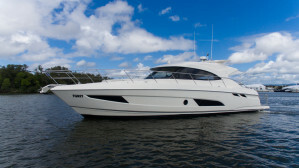 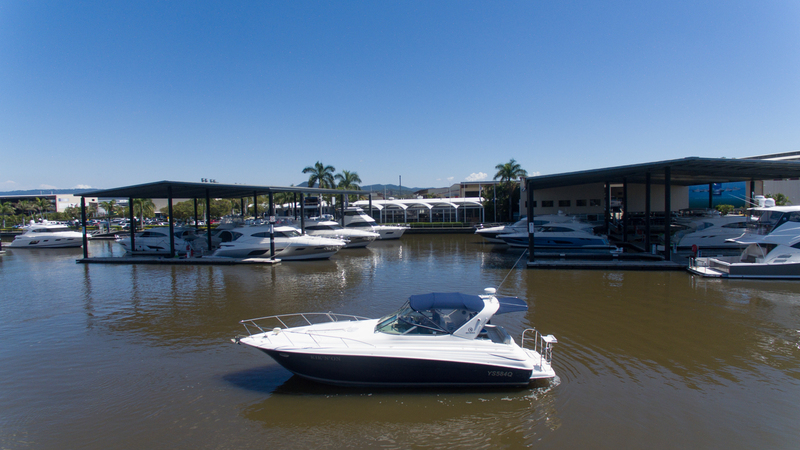 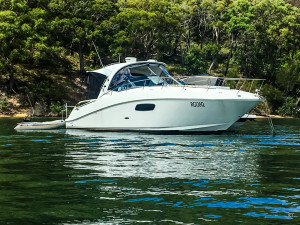 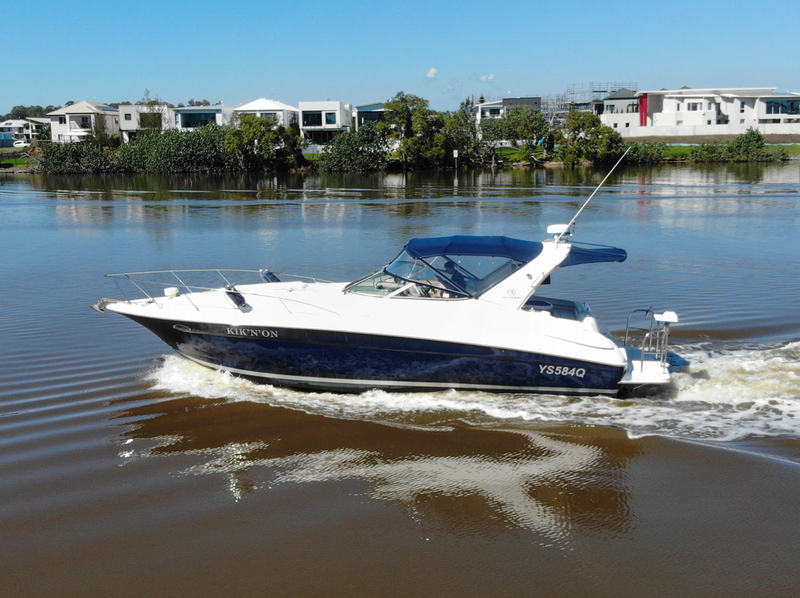 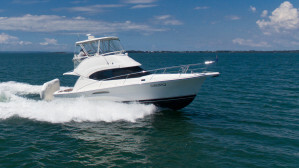 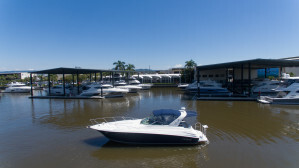 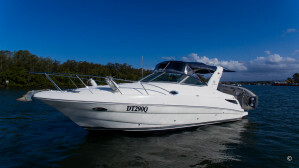 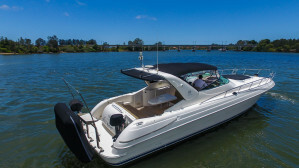 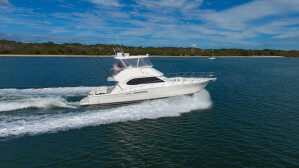 Please contact Sam Phillips from R Marine Jones, to organise your inspection - 0403 515 778. Covers : Cockpit storm covers, clears in good condition.